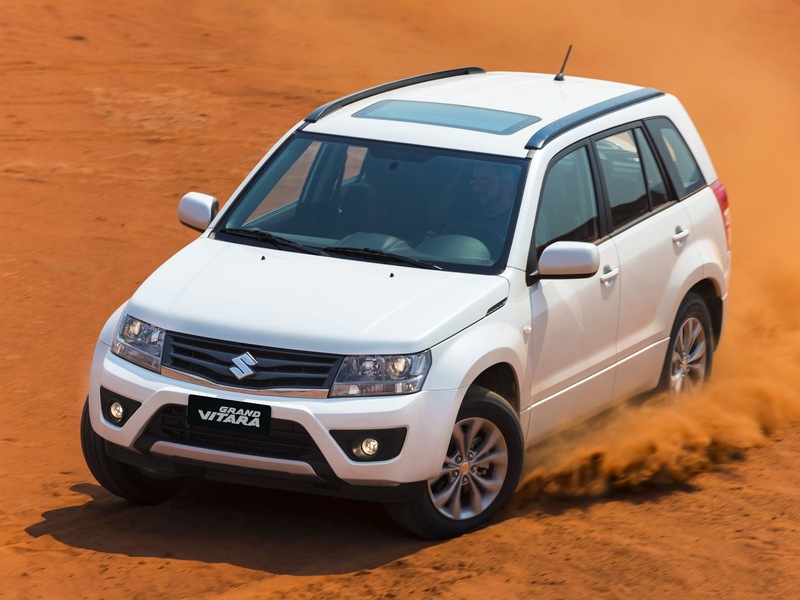 This is the Suzuki Grand Vitara which has assembly plants in 5 places(Japan, Spain, Iran, Indonesia, Ecuador). 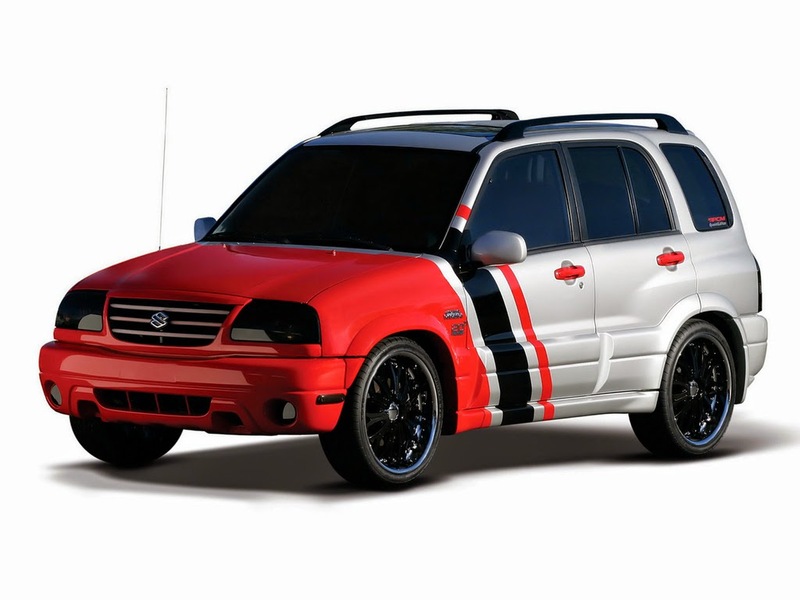 It is also named as Suzuki Escudo. rear lights and headlights are smoked. Also the windshields, windows, sunroof are tinted black. The body has got unique paint job livery. 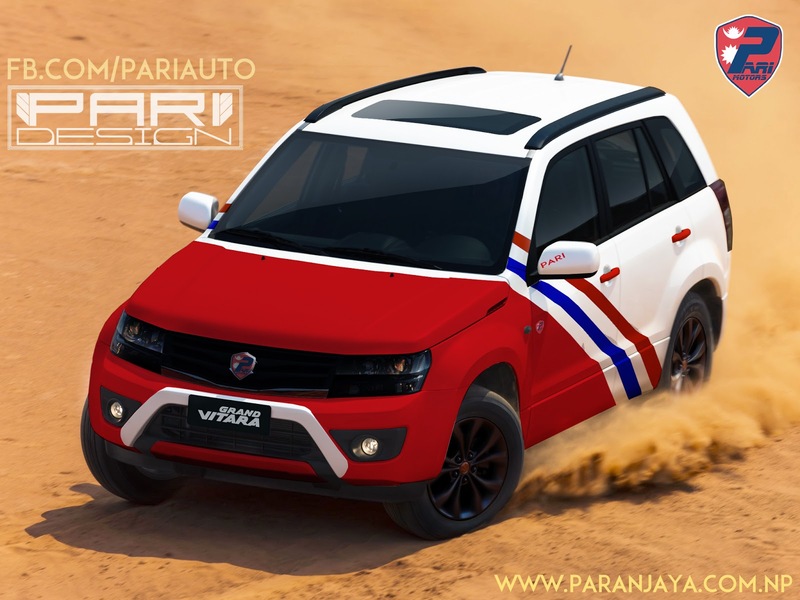 The livery is inspired from the older version of Vitara below.